If you live in CA, DC or NJ please click here! If you do not see your state listed, please contact us directly at contact@dracaenawines.com so that we may suggest possible shipping alternatives. Our policies can be found here. 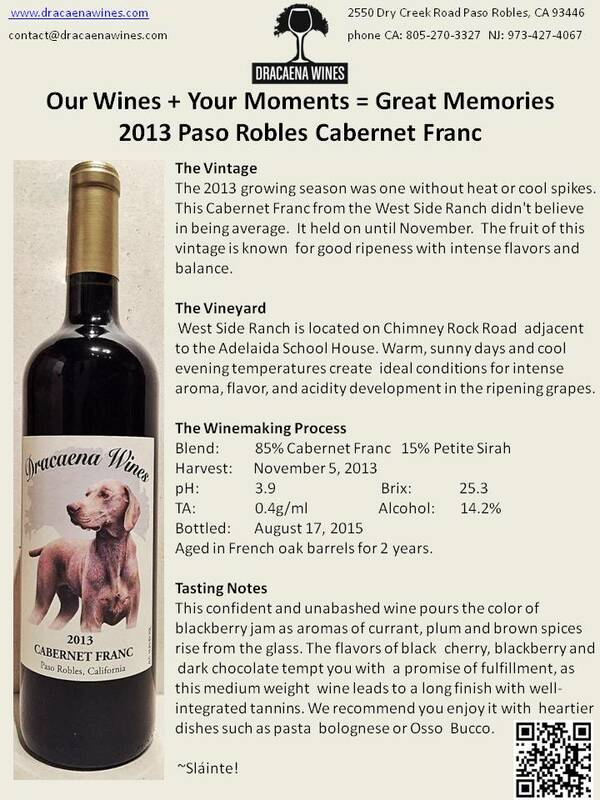 Feel free to download our 2015 Cabernet Franc fact sheet. 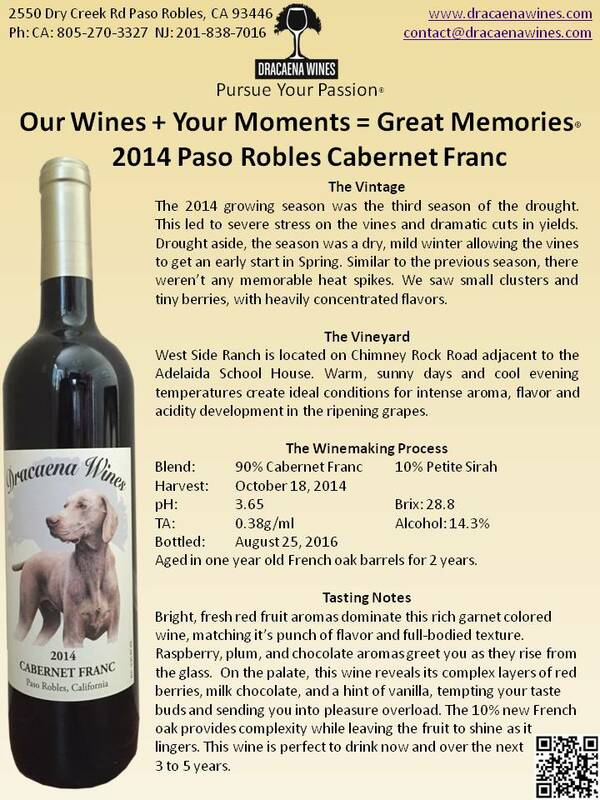 You can also find our Tech Sheets for our 2013 and 2014 Cabernet Franc by clicking on the corresponding year.